Formerly on the Home Builders Association of Louisville Tour of New Homes, . 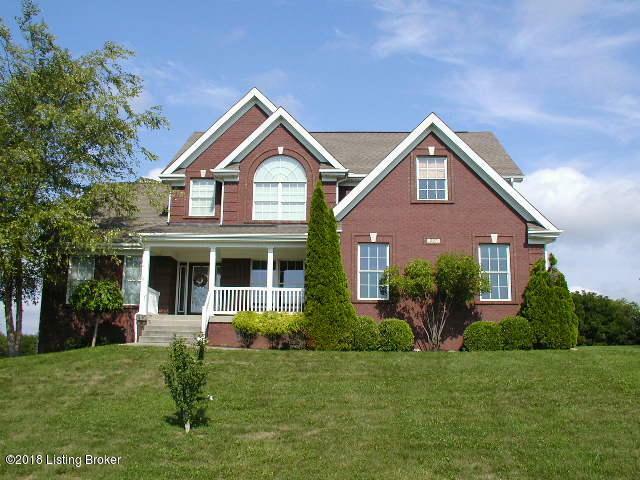 . . .One and one-half story all brick home on one acre of land in delightful Arbor Green. Entry foyer opens into dining room to the right and a spectacular two story great room with stone fireplace enhanced with elegant columns and mantle. Romantic first floor master suite with a double trey hip ceiling and with huge walk in California organizer closet, and a 5 foot marble shower with his and hers shower fixtures. The eat-in kitchen boasts cherry cabinets, Brazilian cherry floors, granite counter tops, stainless appliances, large pantry and French doors with blinds between the glass of doors that open to a terrific covered back porch. 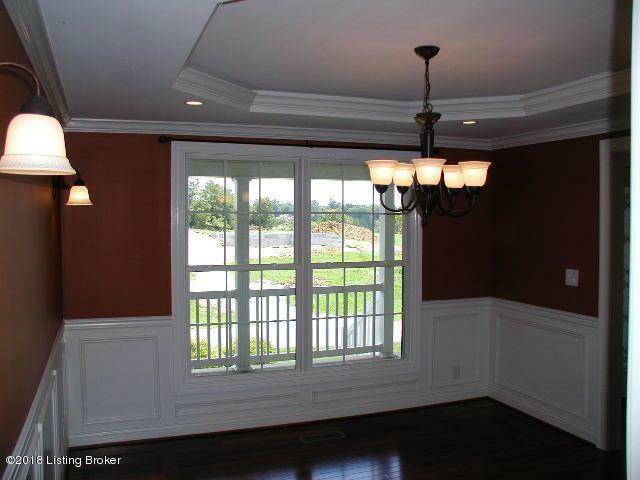 Formal dining room has custom crown molding, rope lighting, chair railand wainscoting and sconces. 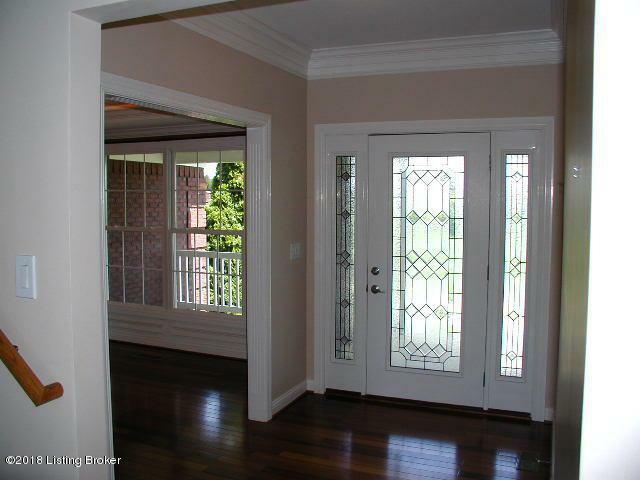 Second floor is spacious and light and airy with a foyer boasting custom built-in book shelves. Two large bedrooms with one having a ''step up'' area for extra drama. The bonus room is huge with two closets and built in shelves and a window seat with storage. Full bath upstairs has a secret laundry chute. HVAC is upgraded with dual fuel (heat pump + propane) with a separate unit upstairs. Lots of extra touches throughout. Impeccably kept by two non-smokers and no pets. Conveniently located just 10 minutes away from J-Town and the Gene Snyder today.